Hello, I’m Jim Glover, That Branding Guy, for Once a Day Marketing™. On our radio show Ask Those Branding Guys, we discussed branding and marketing of an iconic Santa Fe, New Mexico event. Joining us on the show was Ray Sandoval, the Event Coordinator for The Burning of Zozobra event. For those of you unfamiliar with annual ritual, it is the burning of a 50-foot effigy call Zozobra or Old Man Gloom. The short version of the legend says that he is burned to dispel darkness and despair so people can enjoy a great Fiesta celebration. The Burning of Zozobra is a unique cultural event staged annually by the Kiwanis Club of Santa Fe on the Friday before Labor Day. This year is the 92nd Burning and is the exciting and fiery kick-off to the historic Fiestas de Santa Fe. 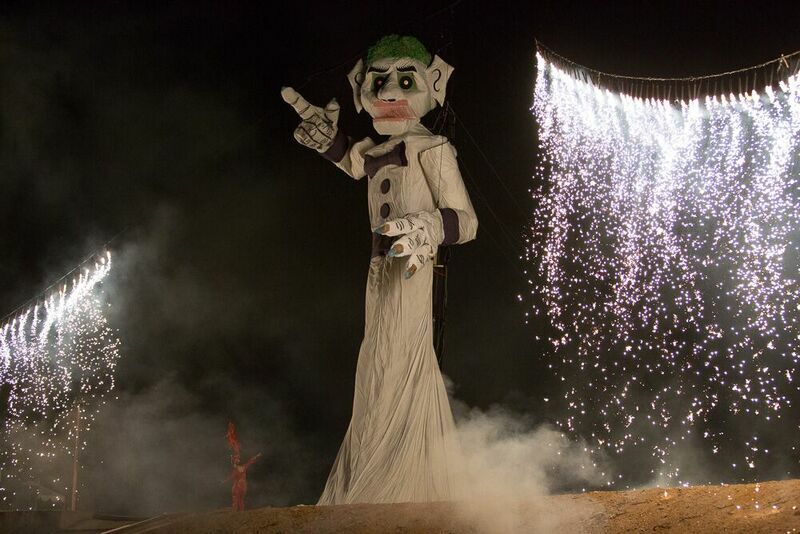 Net proceeds from Zozobra go back into the community. The Kiwanis Club supports numerous child-focused organizations in Santa Fe. Ray has been working to manage the Zozobra brand, with the goal of remaining true to Zozobra’s roots, since he assumed the role of Event Coordinator. He first worked to update the narrative of the Zozobra story, created a logo and ensured that both were used consistently. Ray is also focused on keeping the event fresh. In the ten years leading up to the 100th anniversary, each year celebrates a different decade in Zozobra history, the 1940’s will be featured this year. One of the tie-ins the event has created is virtual Zozobra. This allows people from around the world to write down a gloom and submit it online. The event team prints them out and they are burned along with all of the other glooms. Ray shared that the Zozobra website has recently been updated to be very interactive and include enticing video. It is a critical piece in their marketing strategy and all messaging drives visitors there. Social media has enabled people from the US and numerous countries to learn about the event and attend in person. The east and west coast markets have been specifically targeted. Ray’s tip for business working to improve their brands: Create a plan; all tasks should support your plan, if they don’t, stop those and focus on items that will drive your plan forward. Once a Day Marketing™ inspires clients to brand bold. Visit our website at www.onceadaymarketing.com. Contact James Glover at (505) 501.1330 or email glover@onceadaymarketing.com. Listen to Ask Those Branding Guys™ every Monday at 11:00am (MDT) streaming live on SantaFe.com KVSF 101.5 FM. © 2016 Once a Day Marketing™. All rights reserved.